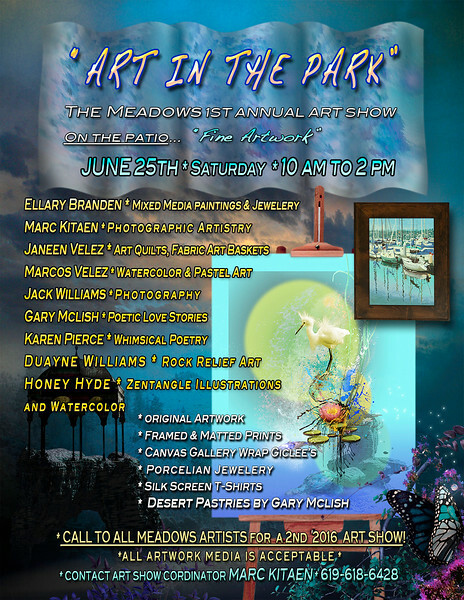 "ART IN THE PARK #2"
The Meadows 2nd Annual Art Show. On the Patio... "Fine Art and Crafts". Myself and Janeen organized this November 13, 2016. 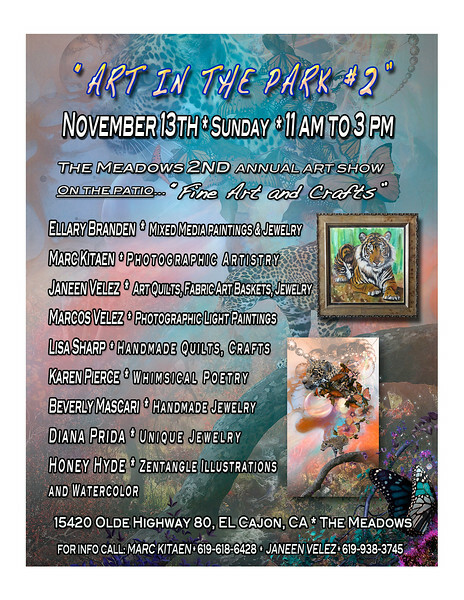 Our Autumn outdoor art show with 9 other talented Meadows resident artists. 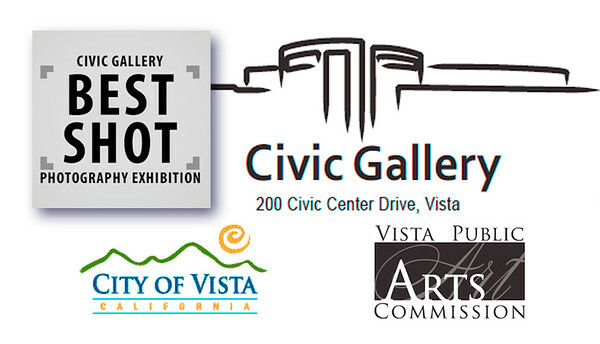 The Meadows 1st Annual Art Show. On the Patio... "Fine Artwork". 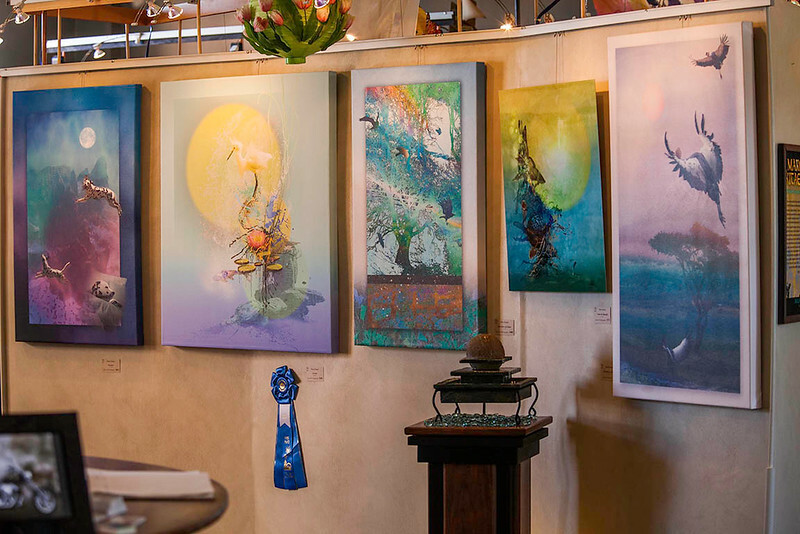 I organized this June 25th, 2016 springtime outdoor art show with 8 other talented Meadows resident artists. 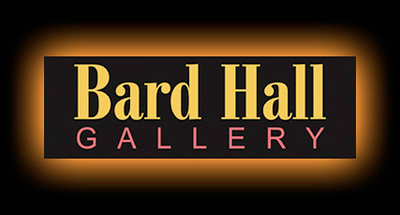 Looking to have another art show in November 2016. 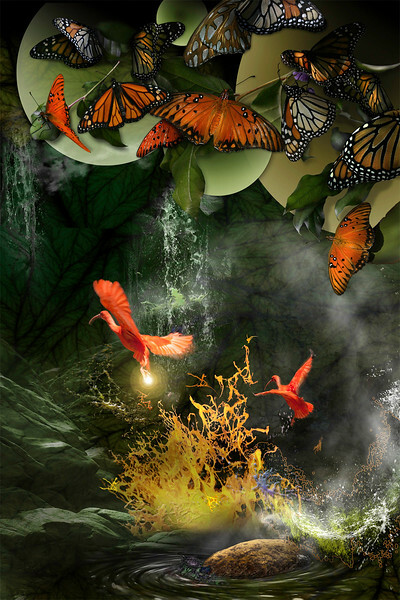 Marc Kitaen Solo Artist show in "Computer Room"
(I have 13 canvas gallery wrap images exhibited). May 24th to September 6, 2015. 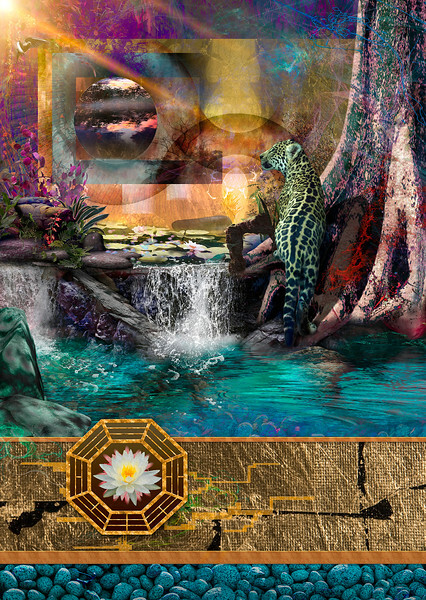 Marc Kitaen & 35 Artists on Exhibition. May 26th to September 25th 2013. 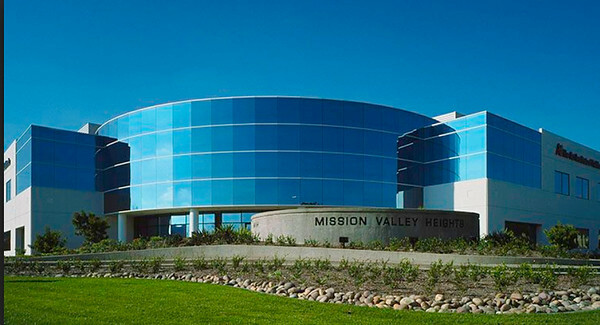 * MTRP" Mission Trails Interpretive Nature and Art Center. 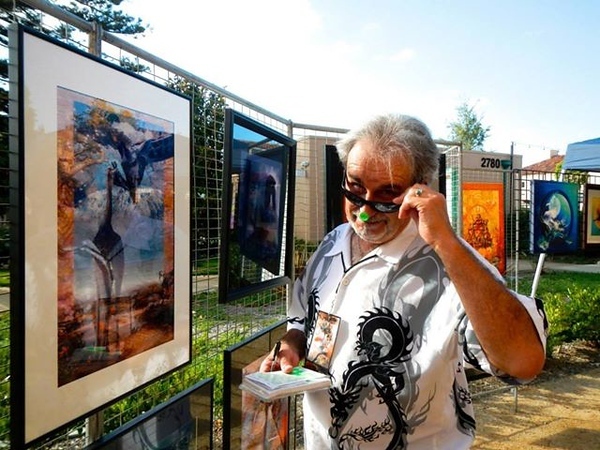 3rd Annual "Art in the Park" fund raiser. October 11th to November 7th, 2014. 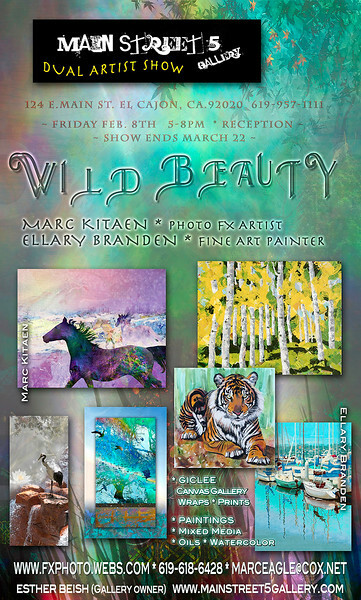 Marc Kitaen, A Wildlife and Nature solo artist exhibition. 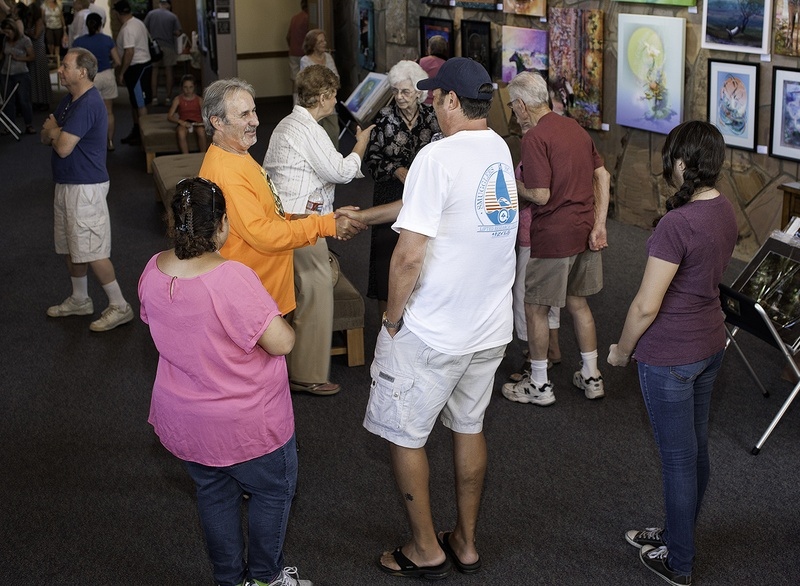 "MTRP" Mission Trails Interpretive Nature and Art Center. 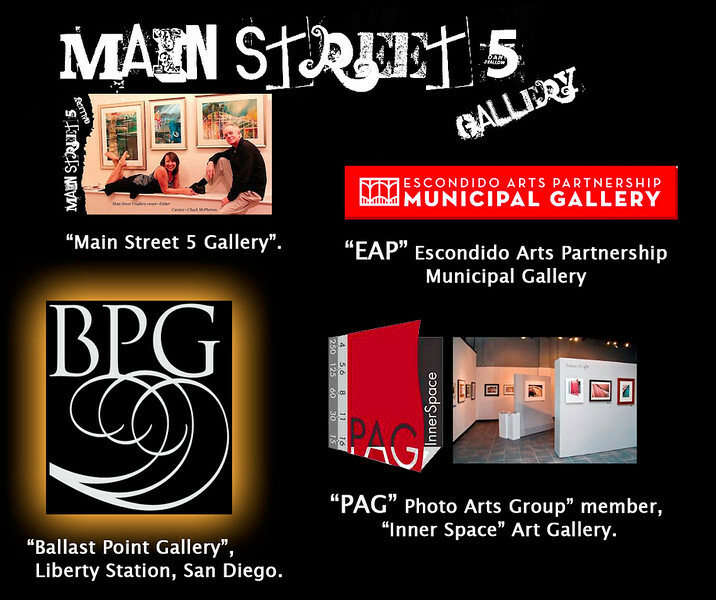 50 artwork images on display. 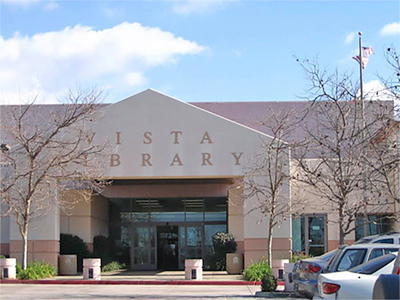 August 17th to Sept. 12th, 2014. 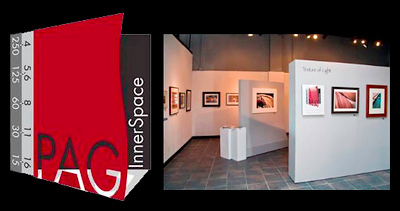 (PAG) Photo Arts Group at the "Inner Space Gallery"
"To Send Light into Darkness"
10 Year Group Anniversary Art Show. 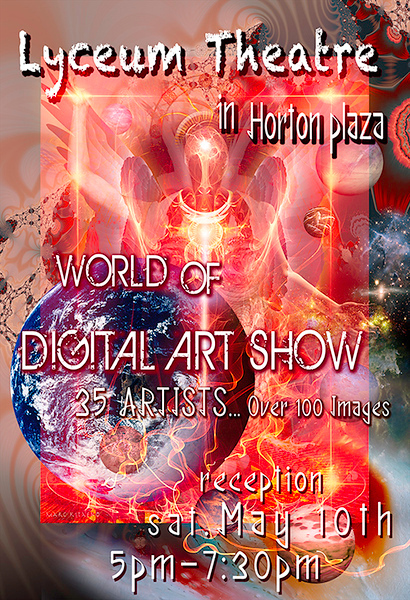 "World of Digital Art Show"
35 Artists / Over 100 images on display. 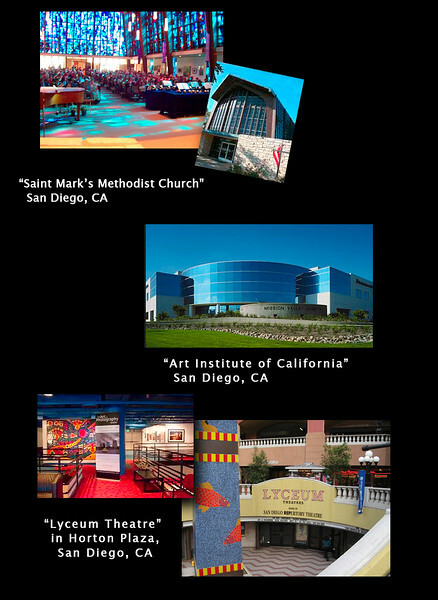 The Art Institute of California in San Diego. The 51st. Annual Religious Art Festival. 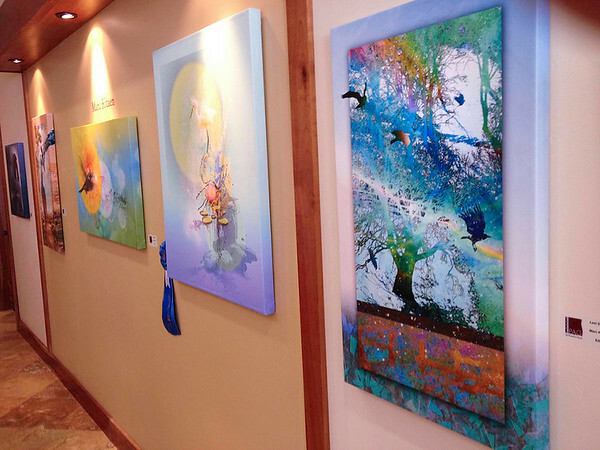 A mixed media art exhibition. 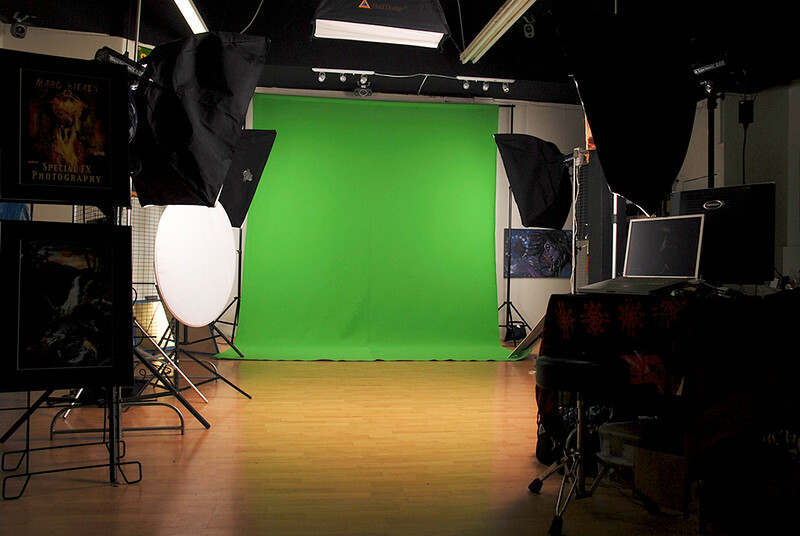 "10th Annual Digital Art Competition". 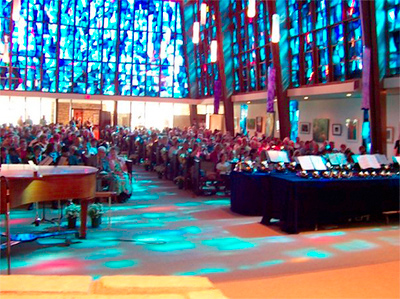 Saint Mark's United Methodist Church. 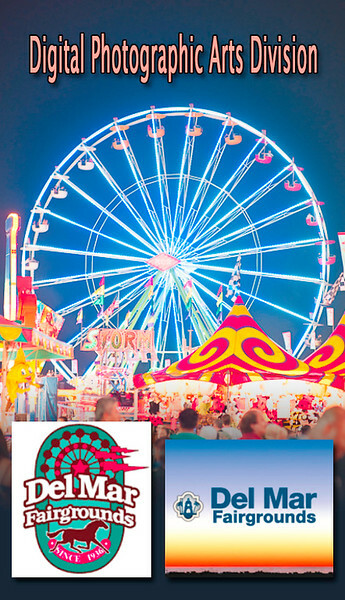 A 50th Annual Religious Art Festival. February 17th to March 31th, 2012. 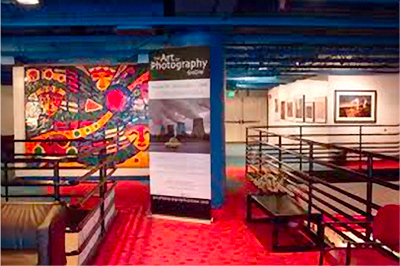 BALLAST POINT GALLERY at Liberty Station. 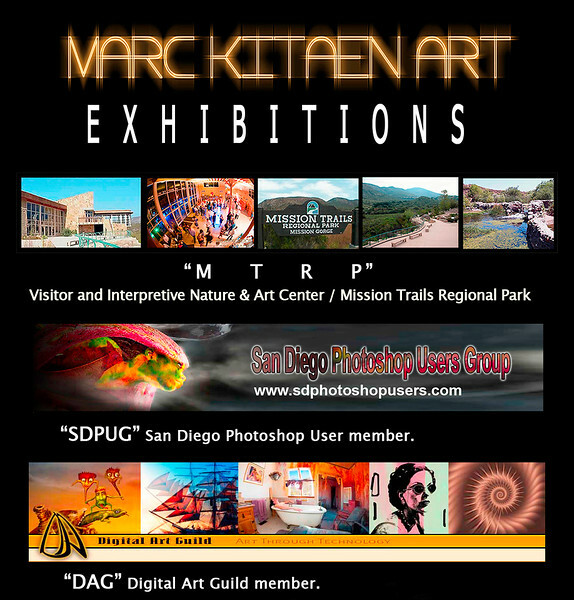 *Featured Artist "Marc Kitaen" Art show exhibition. 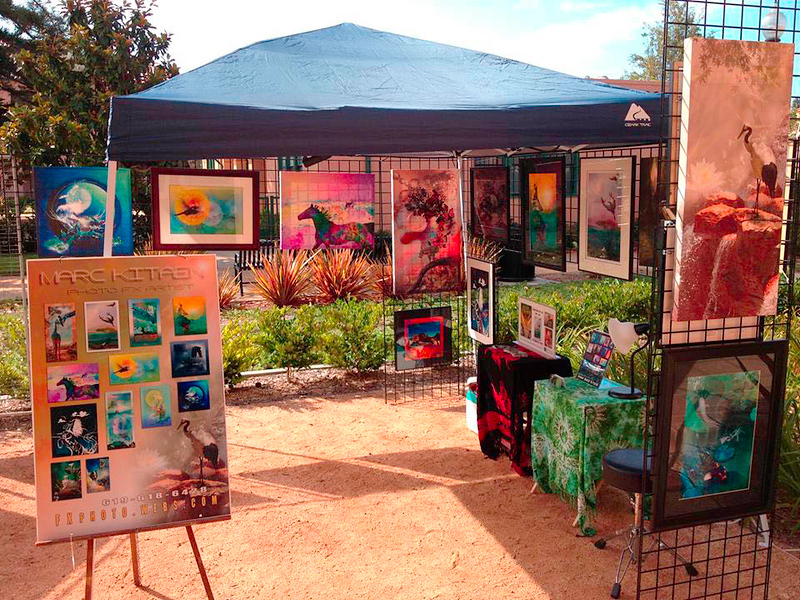 My artwork display setup outside of "BALLAST POINT GALLERY" at Liberty Station, on the annual "1st. 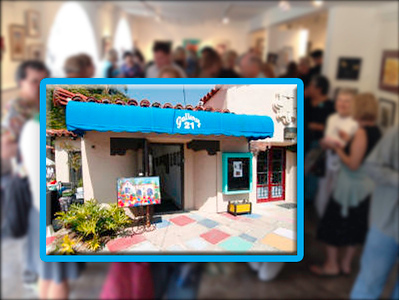 Friday" open galleries event on Aug. 2nd, 2013. 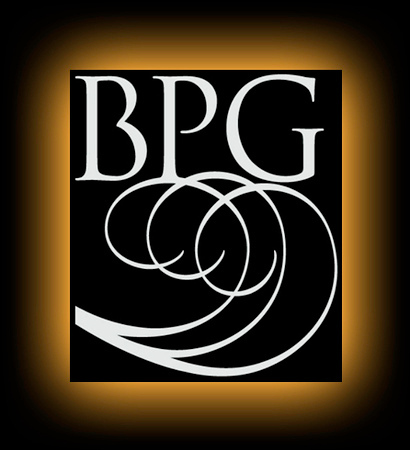 A send off of sorts for me one month before my being the "Featured Artist" exhibiting at the (BPG) gallery. 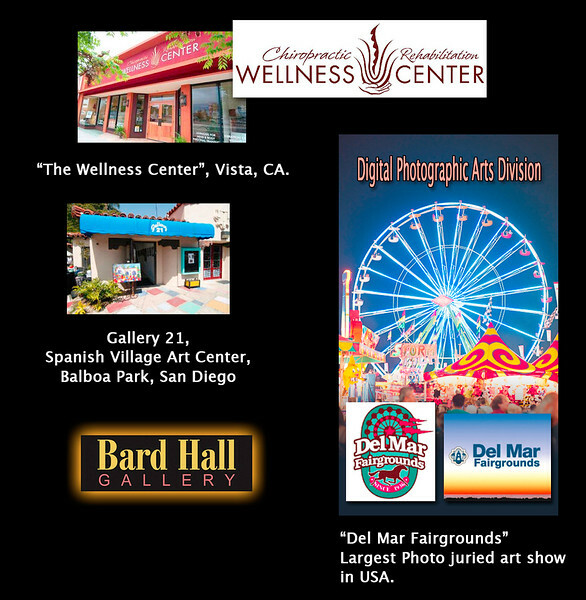 (5) Five out of my (6) six art images exhibited at the 2013 Del Mar Fair Photography/Digital Arts show, in 3 different class divisions received "Honorable Mention" awards. 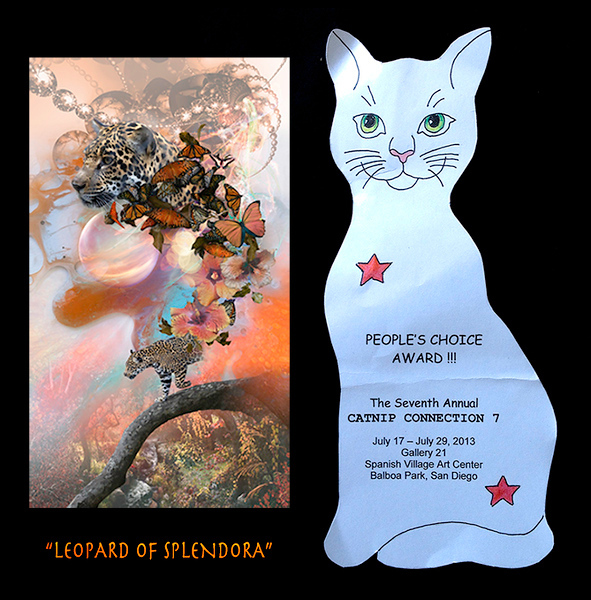 Category Divisions: 1) Digital Photo Compositing 2) Digital Photo Painting 3) Digital Illustration. 1st. 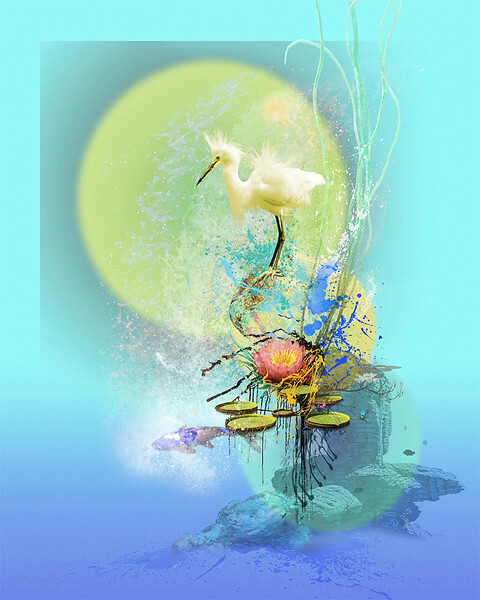 Place: "SERENITY" 4TH Place: "BLUE MOON"
Both in the Photography Painting Division. 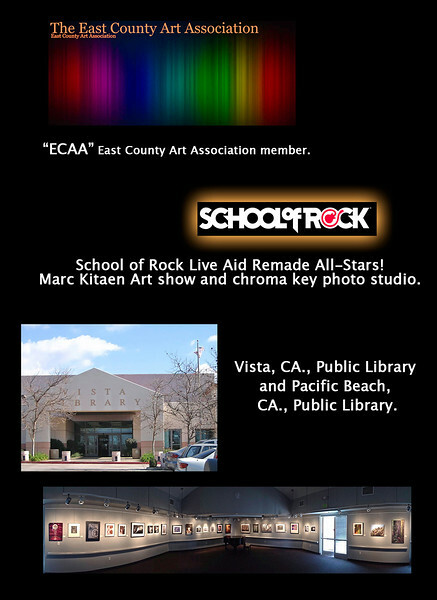 Honorable Mention: "FLIGHT OF LIGHT"
"School of Rock Live Aid Remake 2012"
Marc Kitaen Chroma Key on locations photo studio and art show.